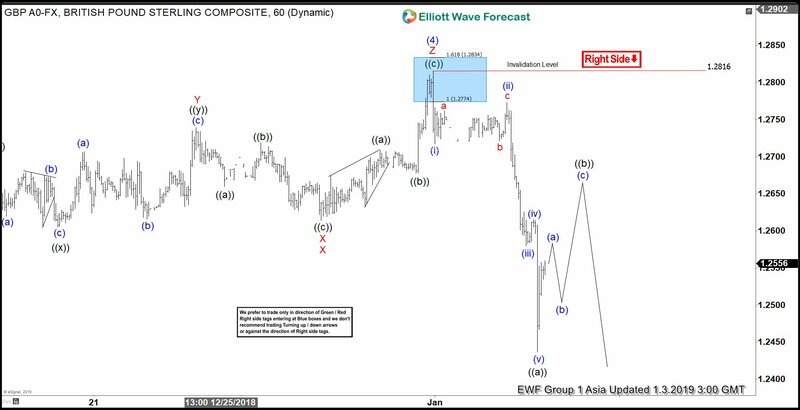 Short term Elliott Wave view in GBPUSD shows that rally to 1.2816 ended Intermediate wave (4). 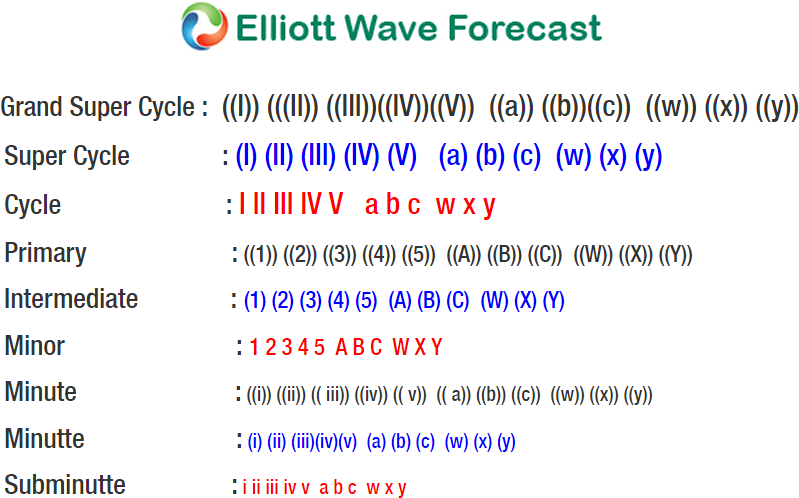 Internal of that rally unfolded as a triple three Elliott Wave structure. Minor wave W ended at 1..2687, Minor wave X ended at 1.2528, Minor wave Y ended at 1.2739, second Minor wave X ended at 1.2614, and Minor wave Z ended a 1.2816. Decline from there ended at 1.2437 in Minute wave ((a)) as a 5 waves impulsive Elliott Wave structure. Down from 1.2816, Minutte wave (i) ended at 1.2717, Minutte wave (ii) ended at 1.2773, Minutte wave (iii) ended at 1.258, Minutte wave (iv) ended at 1.2616, and Minutte wave (v) ended at 1.2437. Near term, expect pair to correct decline from 12/31 high (1.2816) within Minute wave ((b)) in 3, 7, or 11 swing before the decline resumes. We don’t like buying the pair with the right side tag showing lower and expect sellers to appear and pair to extend lower as far as pivot at 1.2816 stays intact.